The new year is not only a time for having a fresh start; it is also a great opportunity for making fashion resolutions. During this transitional style period, our motto is: out with the old, in with the new. Keep what you love and will continue to wear, and refresh and update your closet with new, trendy pieces for the upcoming season. Kick off your 2019 on a stylish note. Here are the six trends you need to know for spring. With its sophisticated ease and minimalistic flair, the timeless trench has continued to be a trans-seasonal favourite for this time of year. Whether in a classic tan, sleek black, or stylish check pattern, a trench coat will effortlessly transition your winter style to spring. 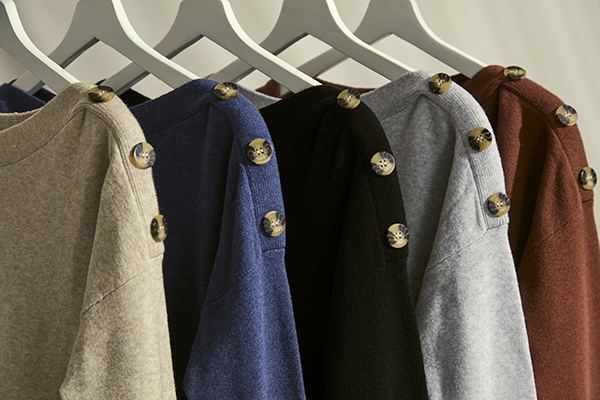 This season, the beloved staple is refreshed with elegant horn buttons, a chic hood, and a shorter cut. 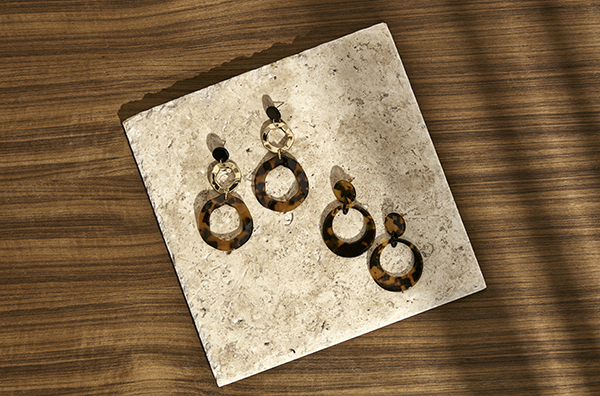 Tortoiseshell has been quickly become the new fashion neutral, next to animal print. With its speckled mix of black and brown shades, it is considered a universally flattering print and perfectly matches with most wardrobe items. For a smaller dose of this standout trend, turn to tortoise accessories, such as these cool drop earrings and cat eye sunglasses. 2019 is the year to make a bold statement. With its comfortable fit and laid-back design, a graphic t-shirt can easily be worn both casually for weekend errands, as well as layered under a blazer for work. Channel your inner #bossbabe in a tee that is as confident and fierce as you are. Go for this #GRLPWR t-shirt or this “joie de vivre” option. 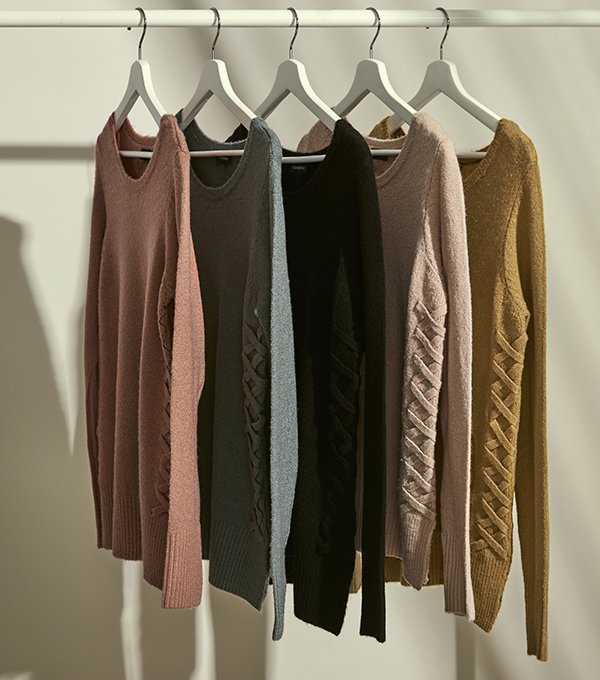 Cozy knits are getting the new-season treatment with pastel hues, such as this year’s “it” colour terracotta rose, as well as feminine details. Look for features such as stylish horn buttons, pretty lace-up detailing, and graphic floral patterns to refresh your spring knit collection. Style your spring knits with some check print trousers or light wash frayed denim for an ensemble that works for both day and night. 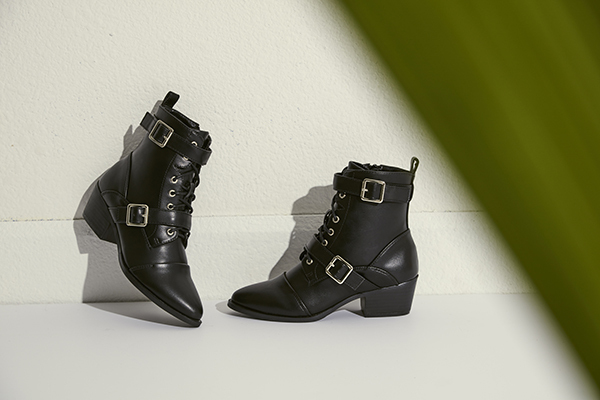 Ankle booties will continue to dominate as a transitional shoe essential for spring, with understated details such as lace-ups and block heels. This season, modern updates such as ruching, western influences, leopard print, high cut vamp detailing, and runway-inspired heel styles will keep ankle booties feeling fresh and on-trend for the new year. From its classic cut to its tailored silhouette, the trouser is a polished and versatile wardrobe go-to. New hue terracotta rose also makes an appearance here with this must-have pair, featuring a high-rise and vintage-inspired button detailing. Pair them with an oversized blazer for an office-chic look, or be night out-ready with a graphic tee and moto jacket combo. Be sure to check out our newest arrivals for spring 2019 here.